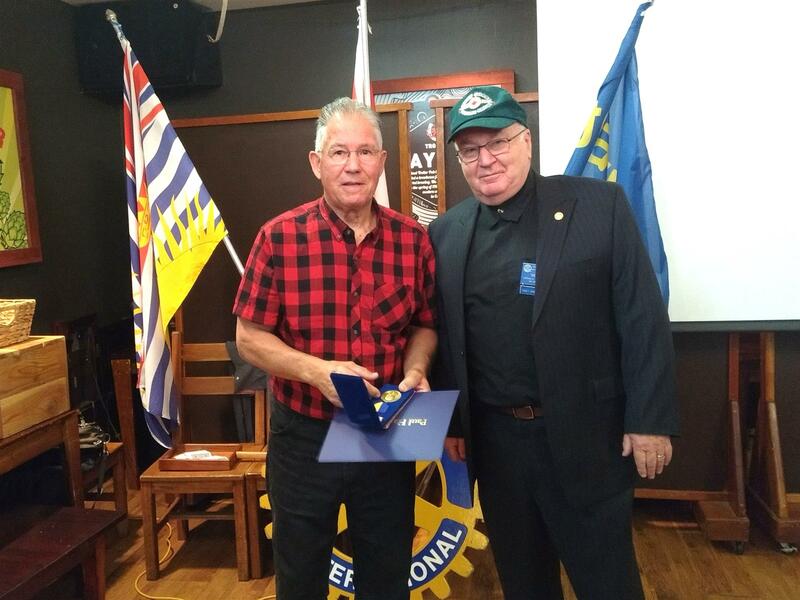 Bryan Couture was made a Paul Harris Fellow by the Rotary Club of Squamish. The award recognises Bryan's contributions to the Squamish Community over many years and especially for his leadership of our signature event - the Squamish Days Loggers Sports Festival. We all thank you Bryan. The presentation was made by Don Patrick, club Foundation Chair.